The Dean, Professor Charles Egbu, introduces the School. 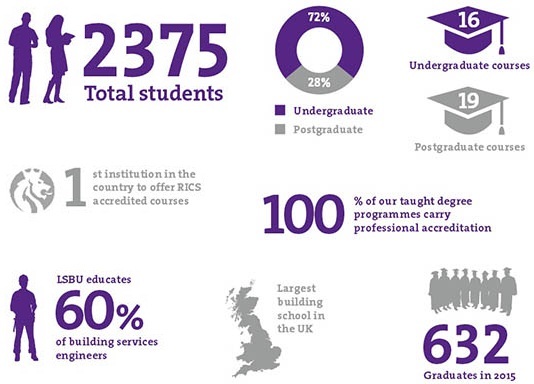 Our academic staff place considerable importance on students’ experience and on contributing to the built environment communities, organisations, policy-makers, and professions within the UK and internationally. 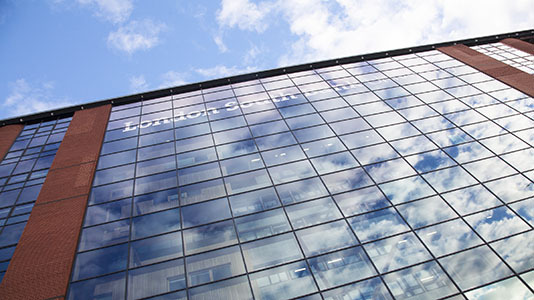 We currently offer some of London’s best courses in areas such as architecture, building services, civil engineering, transport, energy, construction management, property and real estate, project management in construction, quantity surveying and building surveying. All our courses are closely linked with the industry and accredited by the relevant professional institutions to the highest possible level. Of the 20 past presidents of the Chartered Institution of Building Services Engineers, 13 have been LSBU alumni. In October 2014, we were awarded the prestigious Happold Brilliant Award for the second time. The award is a well-known hallmark of quality, and recognises excellence in teaching building services engineering in universities across the world. The breadth and quality of our industry-focused applied research and enterprise activities are widely acknowledged. As a top 20 UK university for engineering research, we receive millions of pounds in research grants every year. Our highly-qualified staff members carry out in-depth research across the core themes of infrastructure and the built environment. We enjoy well-established links with other universities, government departments and institutions from Europe, Asia, the Middle East and the developing world. These contacts help create a diverse student environment full of challenging ideas and useful exchanges of information. It’s important to us that our research is highly relevant to our teaching. That’s why our academic researchers are at the frontline of knowledge, posing questions and making discoveries that drive innovation and growth. Businesses and organisations come to us for our resources and expertise, tapping into our technological know-how through Knowledge Transfer Partnerships. For example, we’re currently developing, testing and implementing cooling strategies for London Underground. Please enjoy finding out more about what we offer here at the School.